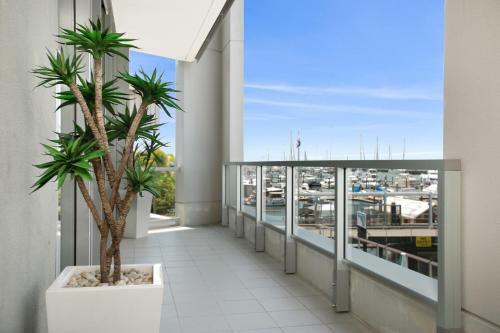 Huge windows, terrace overlooking the wharf. Very spacious apartment. Excellent restaurants just steps away! Great location on the esplanade, beautiful views and very well maintained property. Great for families! The location is perfect and our studio room had a sea view. The staff is very nice and guided us with parking and room check in. Location was terrific; we were able to walk everywhere in Cairns CBD, nearby restaurants were excellent, view was outstanding! The view was amazing. It was a perfect location and had everything I needed. The staff were so lovely and helpful. The location and the size of the property is very well situated. The wrap around balcony is very impressive. The open plan living space is very spacious and comfortable too. Kitchen and bathroom facilities are well equiped. A little confusion with google map as Cairns luxury apartment is actually at Habour lights residential/hotel. Because online the pin sits on the Hilton. Comfortable good sized apartment. Staff in Office very helpful. Location, great apartment and helpful staff. Great view of harbour. The location was fantastic!!! View absolutely amazing and the biggest deck I've ever seen, we could have hosted the wedding we travelled for on our deck alone. Fantastic property!!!!! 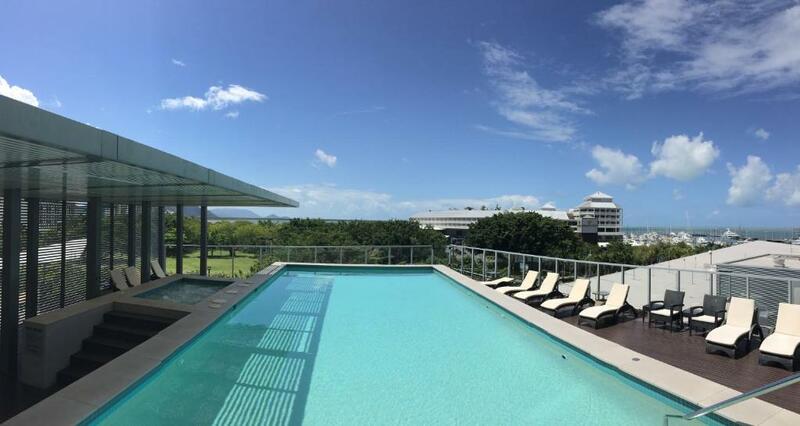 Lock in a great price for Cairns Private Apartments – rated 8.9 by recent guests! Cairns Private Apartments This rating is a reflection of how the property compares to the industry standard when it comes to price, facilities and services available. It's based on a self-evaluation by the property. Use this rating to help choose your stay! 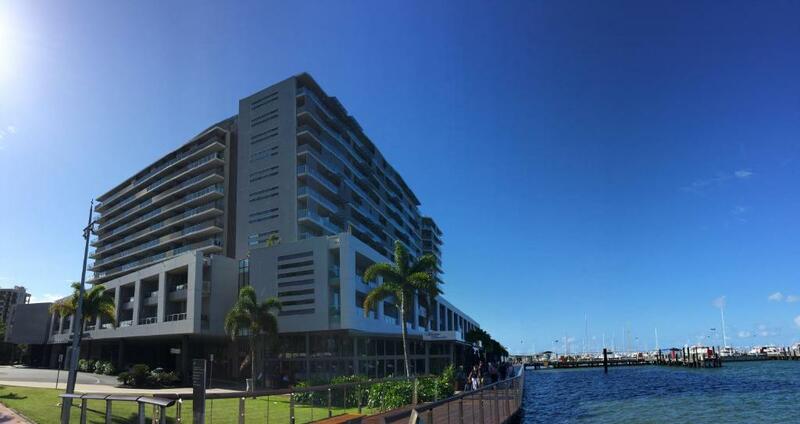 One of our top picks in Cairns.These 4.5-star apartments offer absolute waterfront, luxury apartments just a 1-minute stroll away from Cairns Waterfront Marina. Guests at Cairns Private Apartments enjoy an outdoor swimming pool, a spa pool, a sauna and a fitness center. The property is located close to a wide variety of fine restaurants and bars. 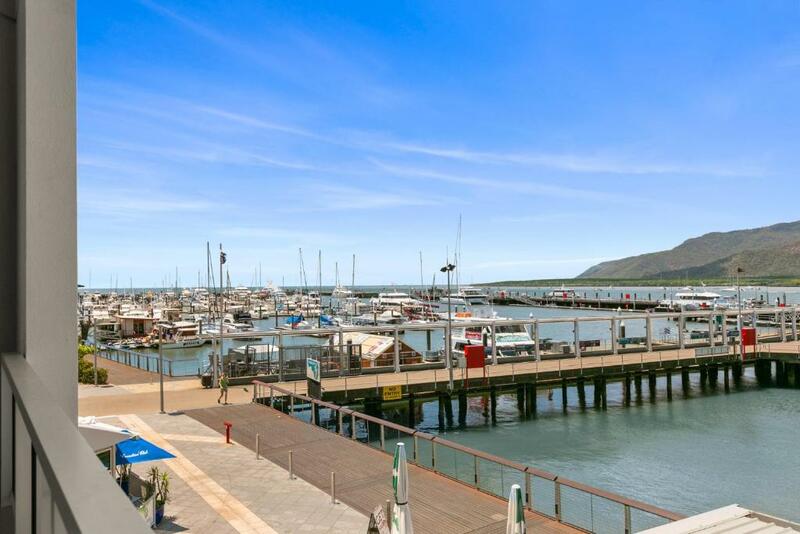 Cairns city center is also a 1-minute walk away along the harbor boardwalk. 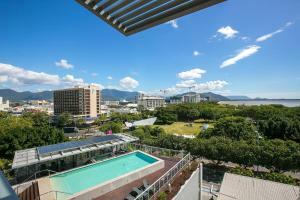 뀐 Located in the top-rated area in Cairns, this property has an excellent location score of 9.6! 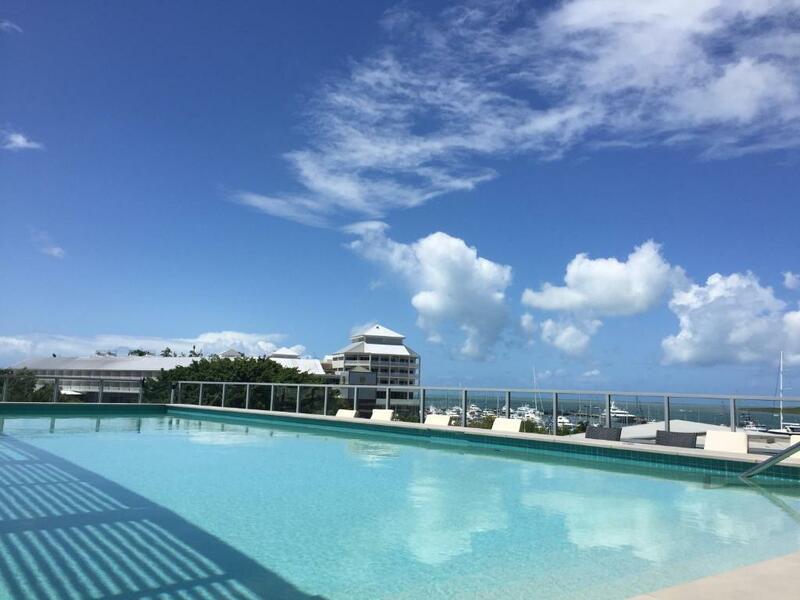 When would you like to stay at Cairns Private Apartments? With spectacular harbor and marina views, this room has floor-to-ceiling sliding glass doors which lead onto a private balcony. The room is tastefully decorated with modern European influences. Please note this room does not have a kitchen or a lounge area. This apartment features a private balcony offering views of the tropical gardens. Offers a kitchenette and has laundry facilities. Please note that use of sofa-bed is for bookings made for 3 guests only. If required for bookings made for 2 guests, extra bedding fee applies (see Hotel Policies). 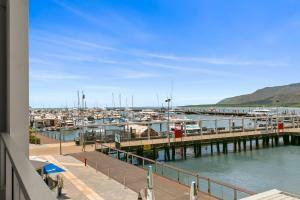 Includes views of the marina and the Cairns Harbor. Room features an open-plan living area, and has floor-to-ceiling sliding glass doors that open out to a private balcony. Offers a kitchenette and has laundry facilities. Please note that use of sofa-bed is for bookings made for 3 guests only. If required for bookings made for 2 guests, extra bedding fee applies (see Hotel Policies). The Cairns Luxury Apartments are undoubtedly the most luxurious waterfront holiday accommodation in Cairns and offer personalised, professional & unobtrusive service. Our gorgeous Apartments are all privately owned & are not part of the on-site Managed Hotel.Our check in lounge is located in the Visitor Information Centre across the road from the Harbourlights complex. Our local travel staff are highly experienced in activities that Tropical North Queensland has to offer. 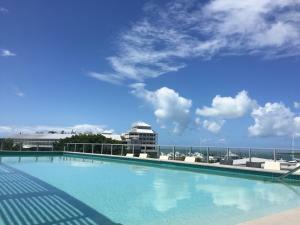 House Rules Cairns Private Apartments takes special requests – add in the next step! Debit card Cairns Private Apartments accepts these cards and reserves the right to temporarily hold an amount prior to arrival. Cairns Private Apartments accepts these cards and reserves the right to temporarily hold an amount prior to arrival. Please note that there is a 1.5% charge when you pay with a Visa or Mastercard credit card and a 2.00% charge when you pay with an American Express credit card. Please note that the check-in desk is located at the Visitor Information Center, which is located directly opposite the Cairns Harbor Lights complex. Guests are welcome to contact the property in advance for further details, using the contact details found on the booking confirmation. 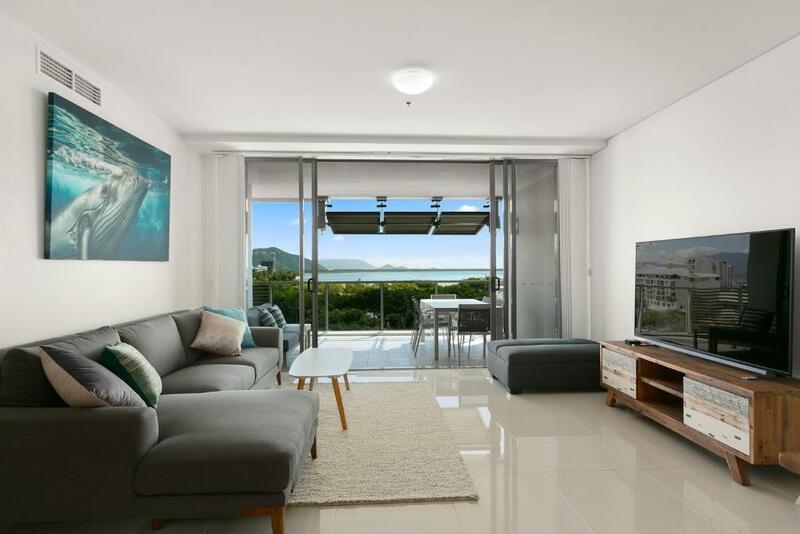 Please note that these apartments are privately managed apartments, which are located in the same complex as the resort known as Cairns Harbor Lights. Please note they are not part of the managed hotel and resort, and do not have access to the services provided by the managed hotel, such as the on-site reception desk, luggage storage and concierge service. Please note that reception opening hours are from 08:00 to 21:00. If you expect to arrive outside reception opening hours, please contact Cairns Luxury Apartments in advance, using the contact details found on the booking confirmation. Please note that fees may apply for after-hours check-ins. Please note that housekeeping service is only offered on the fourth day of stays of 7 nights or longer. You can request daily housekeeping service at an extra charge. Please inform Cairns Private Apartments of your expected arrival time in advance. You can use the Special Requests box when booking, or contact the property directly using the contact details in your confirmation. The air conditioning was not working properly. The apartment was very close to everything. View was great right on the waterfront. Comfy bed, exceptionally clean, high standard of appointments but above all the location and view. Amazing apartment with a great view. Staff were really friendly and made us feel so welcome. A great apartment: spacious, very comfortable and extremely well-located. Expected an apartment but got an unseviced hotel room, no cooking facilities other than a microwave. Small room, not even enough room for a couch. The Apartment is described and charged as "luxury" however the furniture is cheap, worn. The shower drain was blocked and flooded the floor due to entrapment of hair in the drain, that I required to clean. The balcony furniture is stained and worn. 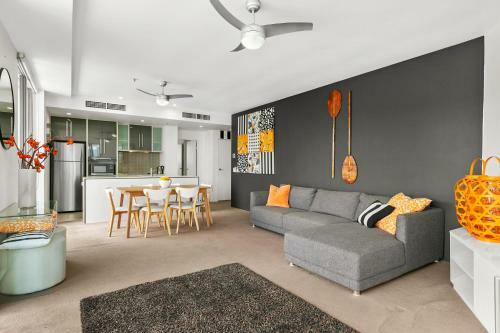 Suggest better value in Cairns. Too many keys to deal with, albeit very secure. Suggest the Pest Controller visit as they had non-paying guests. The view and the location. The restaurant Ochre is fantastic with great service and not overpriced. The position of the apartment was fantastic, walking distance from Casino, lagoon, supermarket, Night Market. It was clean and very comfy. The staff was very nice and helpful.